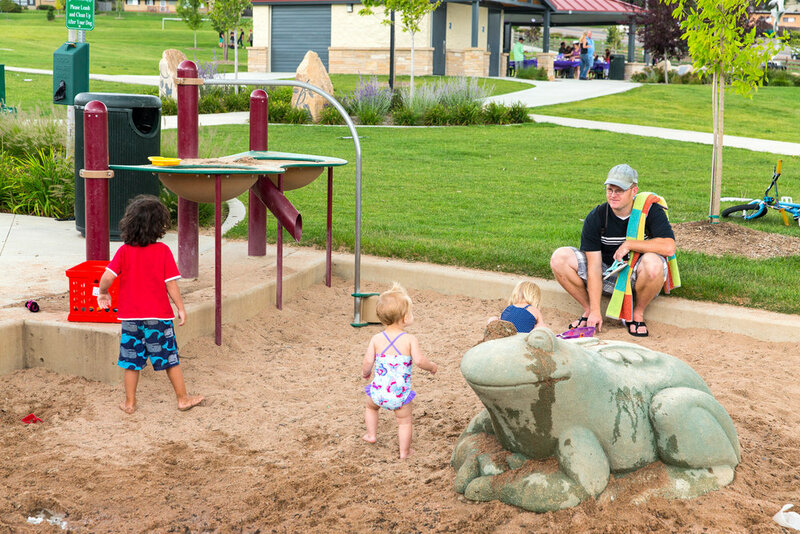 In Wheatridge Colorado near Denver is this adventure park for all ages multi-generation play. 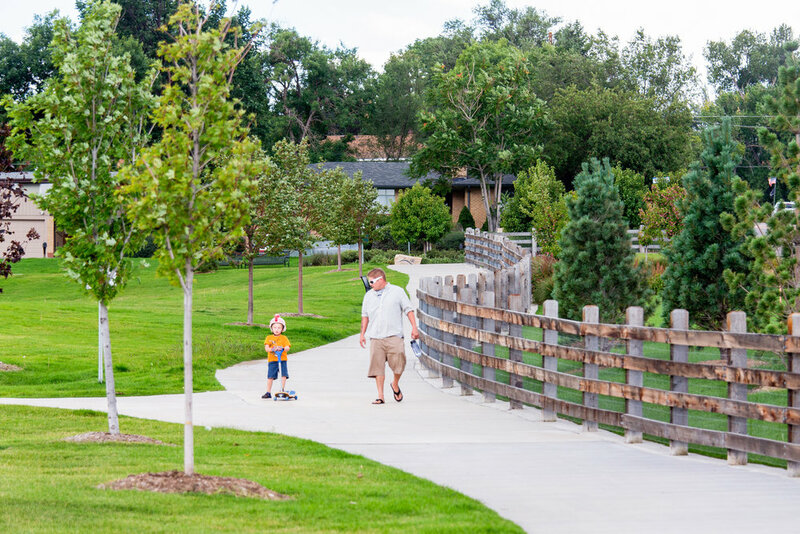 There's something for everyone with: looped walking paths and trails, water play ditch natural feature, splash pad, open grass field, playground equipment for kids, sand dig play area, custom metal gateway, skate park by Team Pain, reservable picnic shelters for parties and events and restrooms. Originally zoned for commercial space, this site was ultimately designed for a neighborhood park. This change required amending the previously approved Outline Development Plan. We worked with the Parks Department and City Council, participating in numerous Council meetings, and facilitating study sessions, and public meetings. Three concepts were presented and the final plan was approved by the Council. During the construction document phase, the project completed the Final Development Plan process as well. 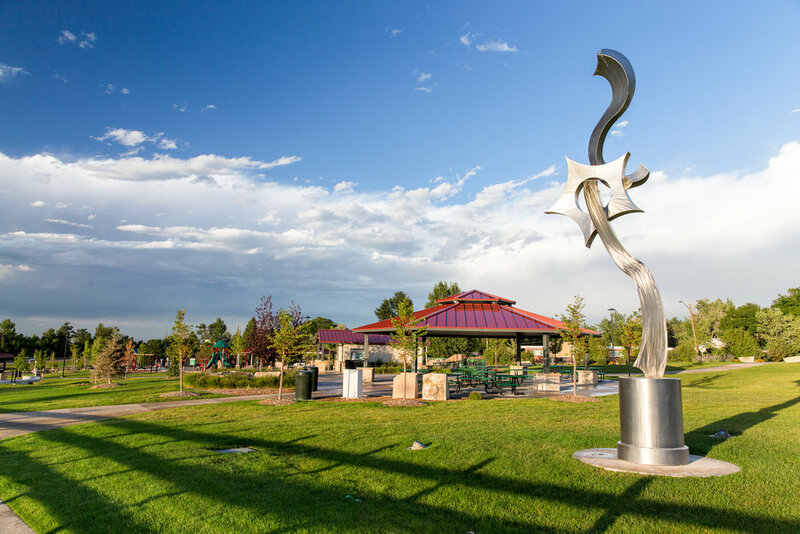 The park is located along a major thoroughfare so our design focused on providing a quiet and safe play area. 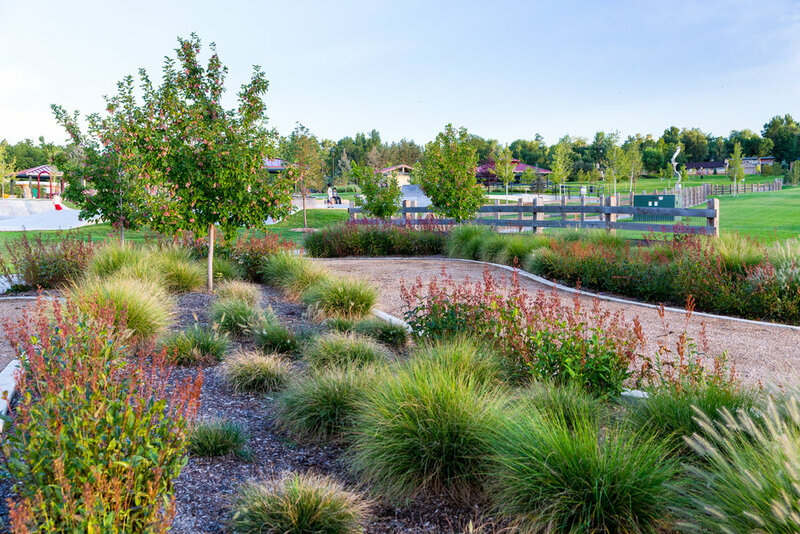 We used a series of streetscape plantings, landscaped beds, and estate fencing to buffer the park from the busy street. Enjoy a video from the skate park grand opening provided by Jesse Johnson (wheatridgetv8) and the City of Wheat Ridge.